If you think that the labels on your medication are just for appearance, think again. They are there for a reason. It prevents unnecessary hospital admission and readmissions. Why admit yourself to the hospital if it can be treated with a pill, right? When you take your medication as prescribed by your physician, you prevent hospitalization. Moreover, even if you’ve just been discharged from the hospital, that doesn’t mean you’re well and you don’t need to comply with your Prescription Drugs. Many cases have been reported that medication non-adherence result to re-hospitalization. It impedes your condition from worsening. If you don’t take your medicines as directed, they may not work. Worst case scenario is that it may even aggravate your condition. A study from Scotland showed that heart attack survivors who took their medications as prescribed had a significantly lower risk of recurrent heart attacks compared to those who didn’t take theirs as prescribed. Also, in cases of organ transplantation, it was found out that the most common reason for organ rejection is the patient’s failure to take their medications as prescribed. One of the reasons why patients should adhere to their prescribed medication is due to its costly expenses. Medications are expensive, and if you don’t follow your doctor’s instructions, you can incur more expenses. Like we have mentioned earlier, hospital admissions and additional medications can take a financial toll on you. It increases your life expectancy. Over ninety thousand patients die each year as a result of medical errors. Failure to adhere to the prescription is one of the many factors behind this. Getting better is not a one-way process. If you want to be well, you need to follow your doctor’s orders. If you just religiously follow your medication as prescribed, you’ll soon get better. You’ll be able to go back to and enjoy your normal life. Your health is the topmost priority of healthcare professionals, including doctors and pharmacists. As such, we do everything we can to help you. One of the things we do is to encourage you to take your drugs exactly as prescribed, like taking it at the right time and with the right dosage. O.K. Pharmacy, a pharmacy in Donna, Texas, offers special medication packaging. 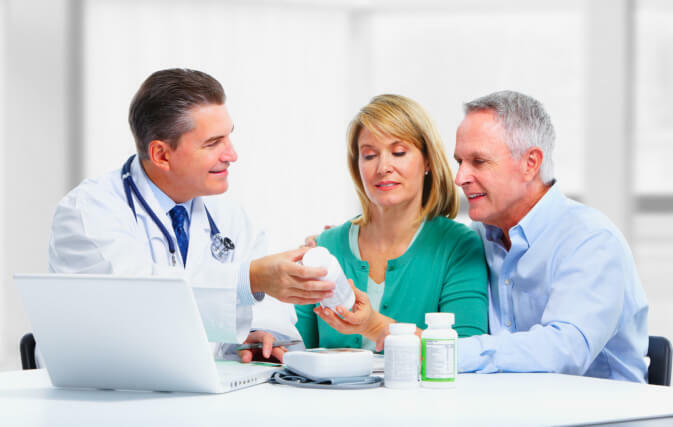 Our special packaging service helps you remember about your medication. We also provide refills for Prescription Drugs. To know more about the services we offer, feel free to visit our website at www.okpharmacydonna.com.